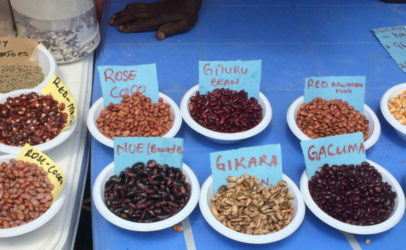 How an innovative ‘Food Change Lab’ in Uganda is bringing together a range of voices to shape a food system that works for all, including ordinary citizens. We know that diversity in agriculture is good for the planet. And we know that diversity in diets is good for our health. But what about diversity of voices, in shaping our food system? As we approach World Food Day, should we not be considering the importance of opening up policy processes, so that policies and plans are constructed with people, and not just for people? Many initiatives are underway around the world to do just that. Hivos, together with IIED and KRC, works with a ‘change lab’ approach in the rapidly changing Kabarole region of Western Uganda. This approach aims for sustainable innovation in local food policy and planning, by including voices that are normally not heard. Policy runs a serious risk of failure when it doesn’t reflect the lives of people it targets. In reality, those who have most at stake in the food system – from small-scale farmers to low income consumers who spend such a high proportion of their income on food – are rarely heard when policies and plans are being drafted. Even when civil society organisations speak on their behalf, they may have little understanding of local conditions and priorities. 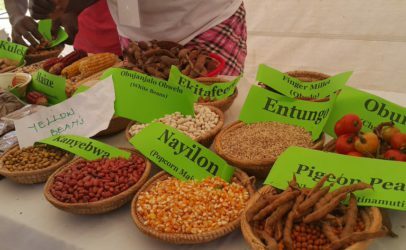 Uganda’s plan for growth: what about food? Uganda, in common with other African countries, is planning for rapid urbanisation in its drive for economic growth and modernisation, as well as a shift to commercial agriculture. Those plans are set out in the country’s national planning document Vision 2040. Vision 2040’s plans for urban growth focus on ‘hard infrastructure’ – roads, houses – and a growing formal economy, but overlook the ‘soft infrastructure’ of the food system, sitting within the informal economy. Most municipal authorities view the informal food system as unhygienic, poor in nutrition, tax-avoiding, traffic congesting and disorderly. Yet, expanding urban centres are inextricably linked to growth of the informal economy. 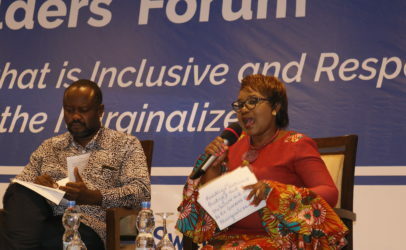 Without doubt, including the voices of informal traders and vendors can help ensure that urban growth is achieved without adding to the burdens of food insecurity, obesity and food-borne illness. 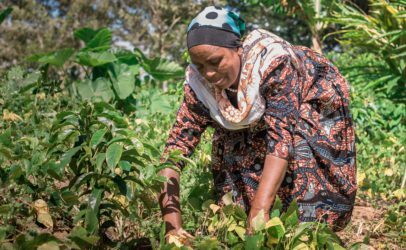 In rural areas, Vision 2040 plans for an accelerated shift from small-scale semi-subsistence farming to commercial agriculture. However, a closer look shows rural nutrition is poor despite a deepening engagement of farmers into the market and growing exports of food to the capital and to the wider East African region. Rural Ugandan households are as cash-strapped as ever, and faced with difficult choices to achieve financial and food security. More production is depleting natural resources and preventing sustainable production over the long term. The enormous opportunities to capitalise on and add value to the region’s agriculture through food processing are being overlooked. How can a greater diversity of voices be brought into policy and planning? Over the last decade, ‘civic labs’ or ‘social change labs’ have become a force for addressing social and public needs. Change Labs are safe social spaces with facilitated interaction between various actors, where innovations emerge and interventions are tested on the ground. In our approach to Labs, we very explicitly focus beyond policy or service outcomes and gear our interventions towards less tangible outcomes such as knowledge and skills, network building and increased trust between the actors involved. This ensures the platform is sustainable and the solutions have strong roots. 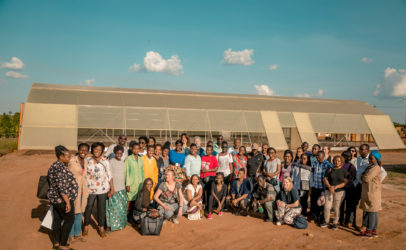 The Kabarole Research and Resource Centre (KRC), supported by Hivos and IIED, saw an opportunity to apply this Change Lab approach in Western Uganda, to bring a much greater diversity of voices into a process of building a food system for all. The process drew on Vision 2040 as the starting point for driving local economic development, rural development, food security and ecological health. The regional centre of Fort Portal in Kabarole District is early enough in its urbanisation to focus on the soft infrastructure of the food system as it moves to city status, and to achieve orderly urban development that works for all, including the working poor. Already alerted by rates of malnutrition in the countryside and the rapid growth of street food vending in town, the Food Change Lab convened a group of diverse actors to explore the issues by gathering evidence themselves. A large pool of rural families was asked to keep a food diary, while others stationed themselves in a local trading hub, to count the amount of lorries leaving the region with raw, unprocessed agricultural produce. By generating the evidence themselves, communities were empowered to bring their priorities into the process, to exercise their own decision-making powers and to be less dependent on others to set the agenda. The Lab process has already made an impact, including a move from confrontation to coexistence between local government and informal food vendors. In April 2016, Uganda’s first People’s Summit on Food opened this process to a wider group of voices from Fort Portal city, Kabarole district and national institutions. It paved the way for the Agahikaine coalition – bringing together individual farmers and small scale processors, local NGOs, municipal government, elders, SMEs and the Uganda Small Scale Industries Association. This coalition of the willing is in its early stages of formation but is pushing ahead with its goal to bring more voices into policy and planning around food safety, food availability, agro processing and balanced diets based on traditional knowledge. The grassroots process has reached Kampala too, where it generated policy engagement of the National Planning Authority (NPA), the parliamentary Forum on Food and the Office of the Prime Minister. 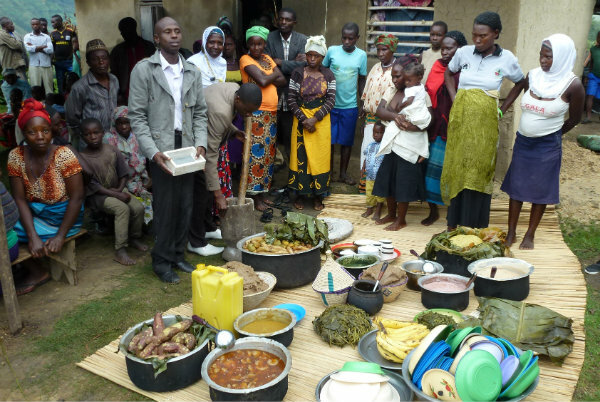 In a foreword accompanying the People’s Summit report, the NPA Director pledged to integrate the food system as a cross cutting issue in their planning system, and urged the Kabarole Food Change Lab to continue their work and be a leading example for other regions. Local partners supported by Hivos and IIED have also convened Food Change Labs in Indonesia, Zambia and Bolivia.